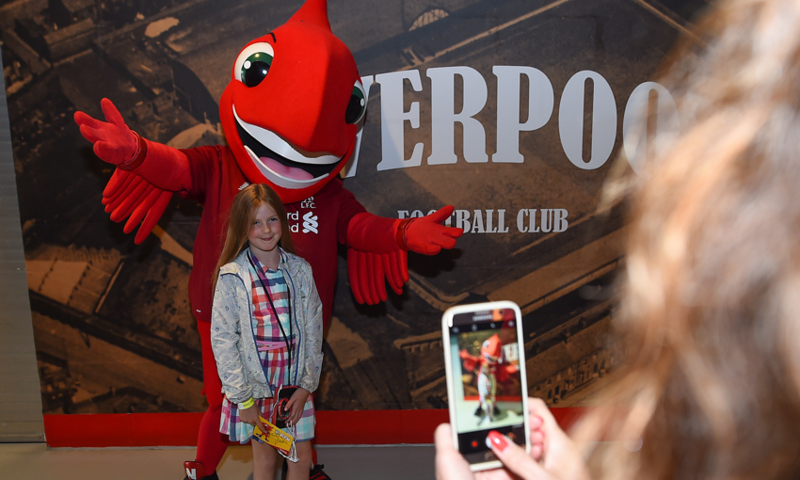 Meet Liverpool FC's official club mascot Mighty Red and more on an entertaining LFC stadium tour this February half-term. 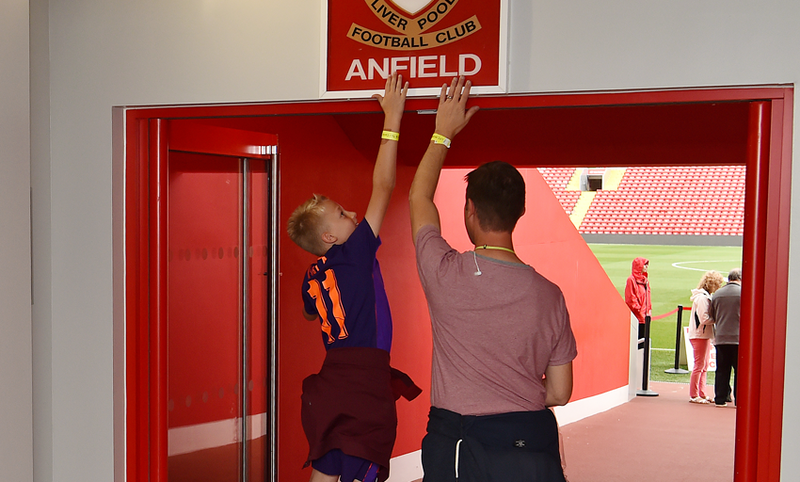 Enjoy epic views of the pitch and city landscape from the top level of Anfield's Main Stand, see where your heroes prepare for the big game in the home team dressing room, practice your interview technique in the press room, walk down the players’ tunnel and much more. From Friday, February 22, to Sunday, February 24, they’ll be free games, activities and face-painting along the stadium tour - perfect for a cold or rainy day. On Saturday, February 23, Mighty Red will be making special appearances and meeting his fans on the Level 2 concourse at Anfield. Spend time in The Liverpool FC Story, the club’s interactive museum, with its special exhibition 'The Steven Gerrard Collection' - featuring the former captain’s match-worn shirts, medals, trophies, England caps and much, much more. The museum is included with your Stadium Tour ticket. Grab a bite to eat in the Boot Room Sports Cafe with a special set menu for kids. Spend some pocket money in the Anfield Superstore, with a huge choice of toys and games, footballs and souvenirs to keep the kids entertained throughout the school holidays. And don’t forget, LFC Official Members and Season Ticket Holders get exclusive discounts as part of their benefits on Stadium Tours, The Boot Room Sports Cafe and retail store. To read more about LFC Stadium Tours and to book click here. Mighty Red's appearances will take place on Saturday, February 23, at 11.30am, 1pm and 2pm on the Level 2 Concourse of the stadium tour. To book, click here and select the time you’d like to visit using the drop-down menu. We’d recommend booking the nearest time slot available to an appearance – for example, if you would like to meet Mighty Red at 11.30am then book The LFC Stadium Tour & The LFC Story (self-guided audio tour) 10.00 time slot. Alternatively, please call 0151 260 6677. February 18 to February 20 - stadium tours on these dates will not include the home or away team dressing rooms. This is so we can prepare for our UEFA Champions League game against Bayern Munich. February 21 - stadium tours will start from 12pm on this date. The Liverpool FC Story museum, The Boot Room Sports Cafe and Anfield Superstore will be open as usual.